An elegant double-fronted Georgian villa with commanding water views. 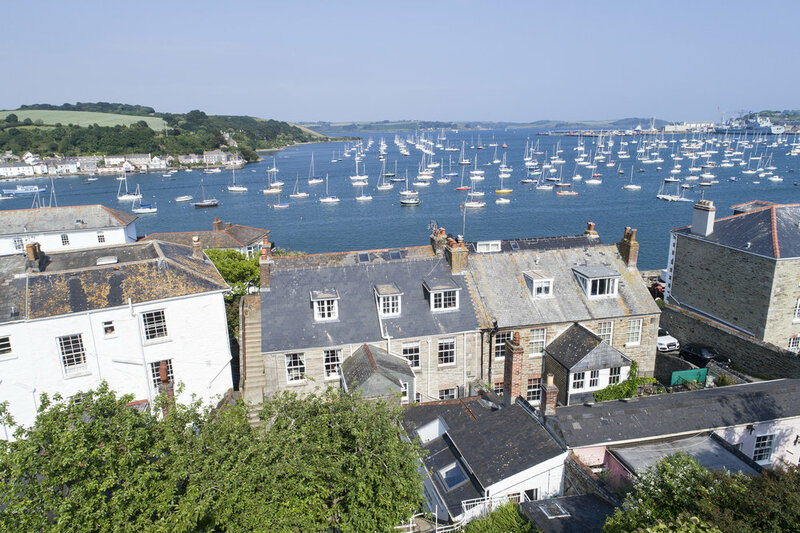 One of the finest residential freeholds in the harbour town of Falmouth. Listed Grade II, and available for sale for the first time since 1976. 2 Stratton Place, occupies a magnificent position overlooking Falmouth harbour, just 100 yards from the Royal Cornwall Yacht Club and Greenbank quay. Steeped in maritime history, and with the landmark National Maritime Museum Cornwall on the harbourside, Falmouth now is a colourful and thriving university town, built around what is the third largest natural harbour in the world. In the summer months the town is a haven for sailors with club racing finishing three times a week on the water within sight of the house. The port regularly plays host to high profile yachting and water sports events, including the Tall Ships and former America's Cup J-Class yachts. 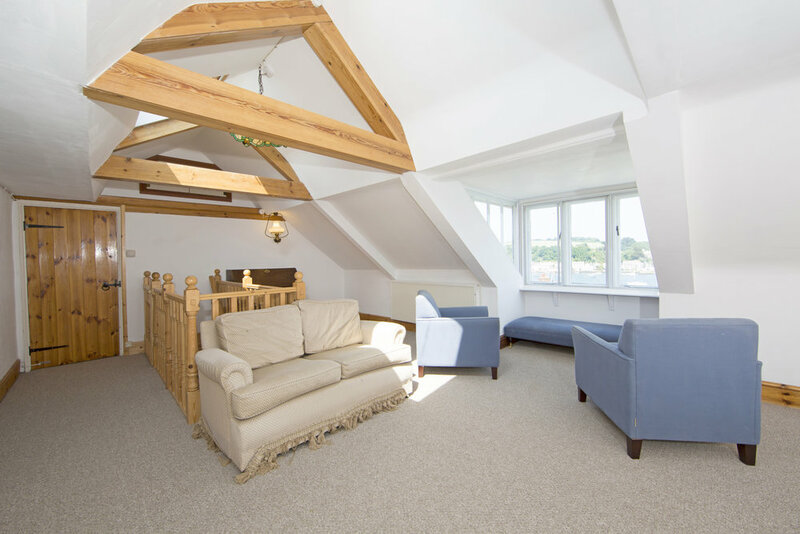 Falmouth Yacht Marina is 10-15 minutes walk up river, whilst the High Street with its galleries, artisan bakeries, bars and restaurants is five minutes walk at the top of Greenbank. Falmouth is linked to Truro and the main Penzance-Paddington line by its own branch rail line, whilst there are daily flights to London Gatwick from Newquay Airport, about 27 miles away. No'2 Stratton Place is one of a pair of Georgian houses, built in 1792 by Sir Francis Basset who made his mark developing Portreath, exporting ore from the family copper mines, and became fabulously wealthy in the process. He entered parliament as member for Penryn in 1780 and soon began building substantial villas for the rich Packet Ship captains on the family land around Penryn and Falmouth. Indeed records show that Captain Couse was the first occupier from 1793 until 1799. No 2 Stratton Place, is one of just two similar Grade II Listed villas, occupying prime position above the shore between the Royal Cornwall Yacht Club and Greenbank Quay. The views stretch from New Quay across the water in Flushing, round to Falmouth harbourside, taking in Trefusis headland, St.Mawes Castle, Falmouth Docks and the National Maritime Museum. The property comprises the main house with 4/5 bedroom accommodation spread across the upper-ground and first floors. 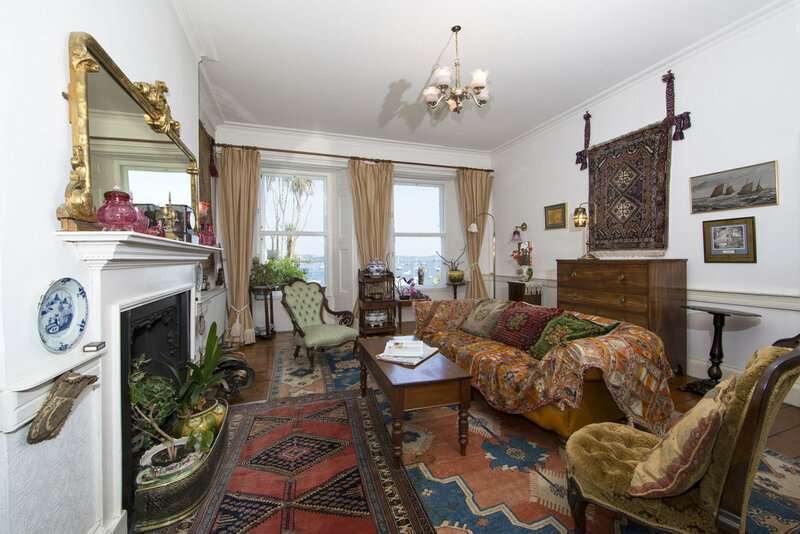 Much period detail remains intact including polished wood floors, fireplaces, picture rails and sash windows. There is a two bedroom lower-ground floor flat, accessed separately by a side path/gate, and then a 2nd floor flat also with two bedrooms, with internal and external stairs, so it can be used as part of the main house, or separately. In addition, there is a charming 'studio' cottage in the rear courtyard garden. Unusually for a period property overlooking the harbour, No 2 remains intact with it's walled gardens and private driveway stretching all the way up to Penwerris Terrace at the rear. The rear gardens are loosely split into three areas, with a mature and well planted lower courtyard garden at ground floor level, then a path leading through a mid-level terraced garden, and then opening through to an upper kitchen garden with greenhouse, which in turn leads through a gate into the private driveway.